If you’re supplying your own artwork. We highly recommend that you use our template which can be found on the product page. Alternatively our designers can design this for you. Please refer to our artwork brief form. A pair of LED display stand lights to Illuminate your display stand for increased visibility and effect. 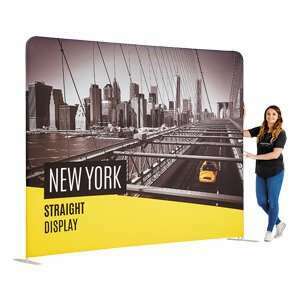 Our large fabric curved pop up stand creates quite the impact. 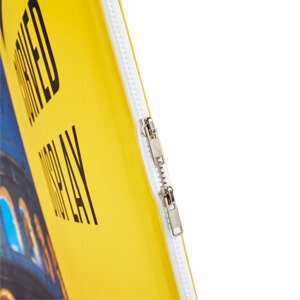 The high definition printing and excellent colour really stands out from a distance. You can even print on both sides. 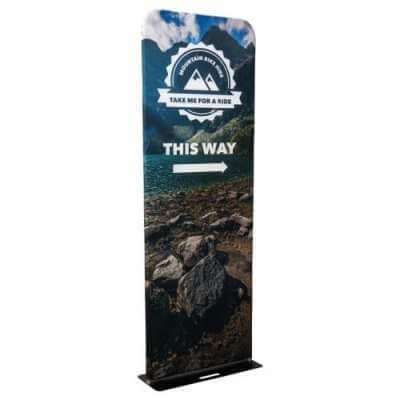 A far better option than a more traditional pop up stand, fabric stands are lightweight yet durable. They’re really simple to assemble with a clip together frame. The fabric cover simply slides over the frame and zips up. You can even wash it, or replace it completely for your next event. And it all packs down into a small, easy to carry bag. 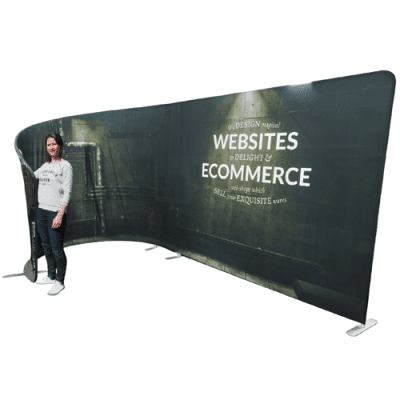 Once you’ve tried one of our fabric backdrops you’ll never return to traditional multi-panel exhibition stands. But their use isn’t limited to exhibition stands. 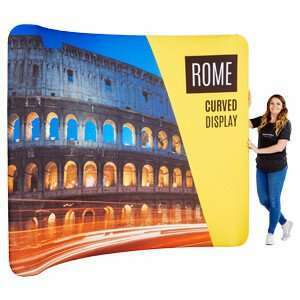 They can make great feature walls in your office, at a launch party, and can even be used in photography studios and on stage to create unique backdrops.